May | 2013 | Chubby For Life? You never have the wind with you — either it is against you or you’re having a good day. Ohio blows, and I mean that literally. It has been windy and cold until today. On Sunday at the start of my poker tournament it was snowing. Today it is in the 80’s with high winds. Only in Ohio can you get frostbite and heat stroke in the same week. 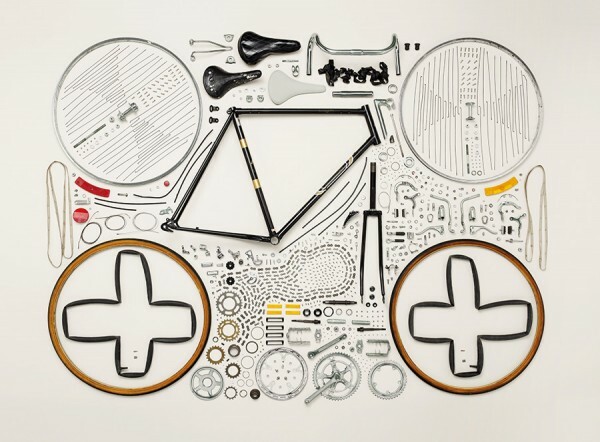 I was surfing the net and found this guy who takes photos of things disassembled. Here is one he did of a bicycle. Went for a nice ride yesterday. It was a beautiful day but time was not on my side. I was with my mother for her chemotherapy much of the day with supper afterwards. I decided to head out to one of the small towns near me. I rode out to River Corners. It is a crossroad with a few houses and not much else. I had read somewhere that there was a gold rush in the 1800’s and for a while it boomed. Riding there was great. It was warm and the smells of Spring were everywhere. From the smell of turned dirt from the farms to Spring flowers. This is what I’ve been waiting for. 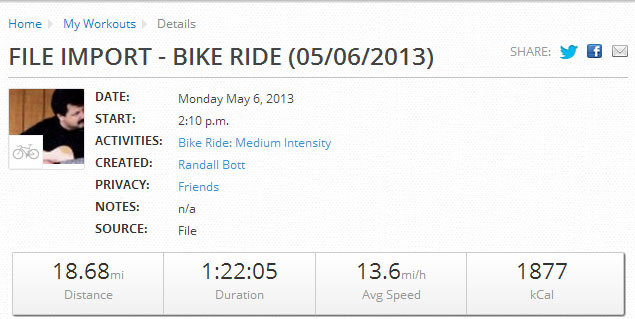 The ride was perfect. Unfortunately heading back from River Corners I was running out of time. I needed to be home by 6:15 to make my poker tournament. 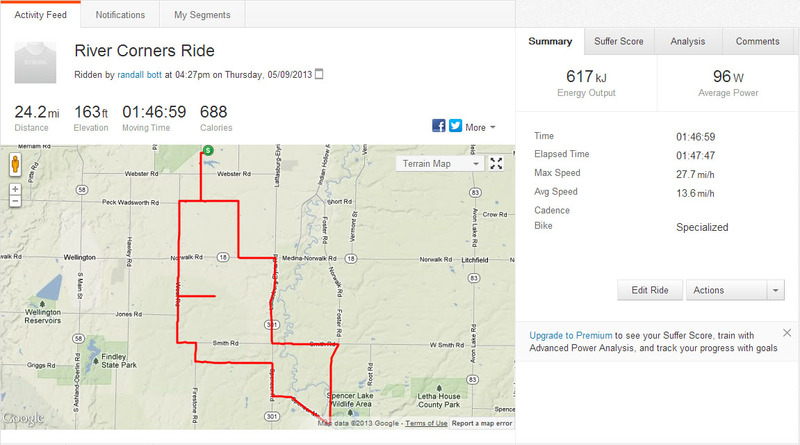 Then I got lost for a bit and added a mile or so to my ride. It was no big deal as I had the iPhone and was able to get back on track. Let a man find himself, in distinction from others, on top of two wheels with a chain — at least in a poor country like Russia — and his vanity begins to swell out like his tires. I was browsing the internet and came across my favorite cover of a bicycling magazine. I felt like I used to feel twenty-five years ago. I’m back. I haven’t been posting as I’ve been so busy. I spend a great deal of time with my mother. Her cancer is progressing slowly. 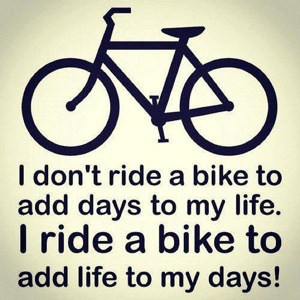 I’ve been on the bicycle nearly every day if only for short rides. The weather has turned into perfection and longer rides will soon follow. Now it is time for the summary. 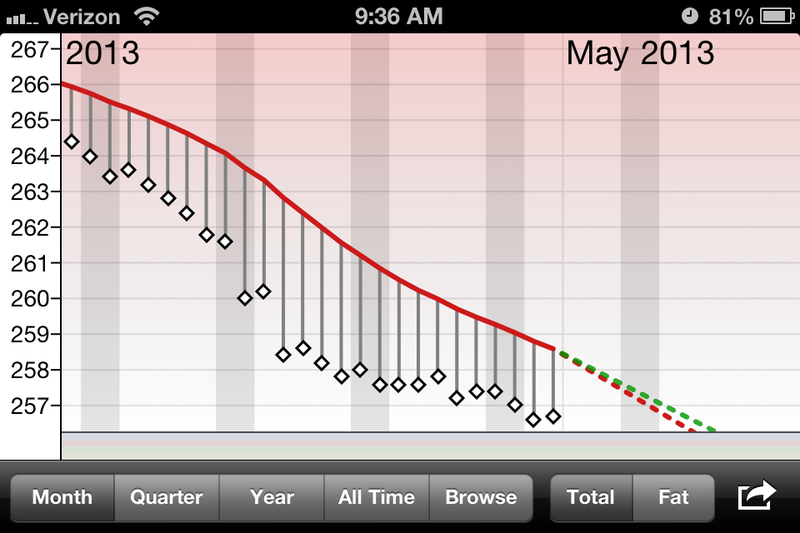 Current weight is 256.7. 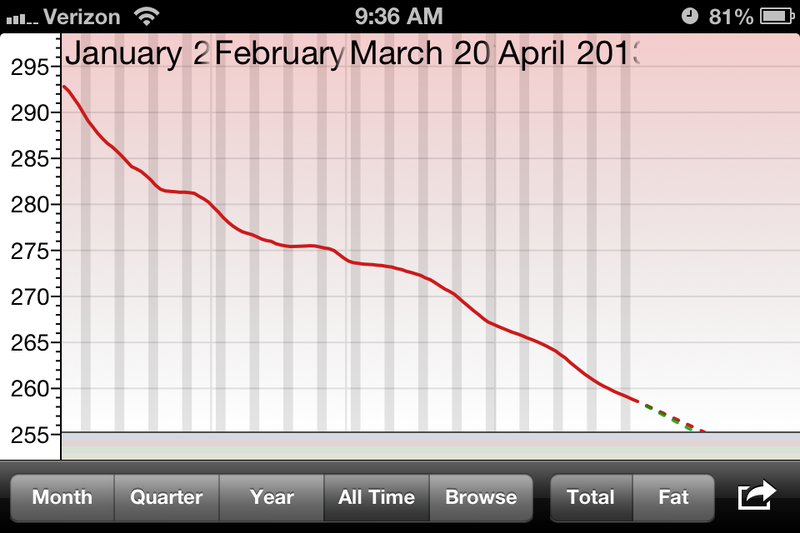 That is a 7.1 pound loss from last month. It is not the 8.2 pounds that I wanted to lose but I am happy. I blame getting sick in the middle of the month and the horrid weather. That is the past. Here are the boring graphs for those interested.